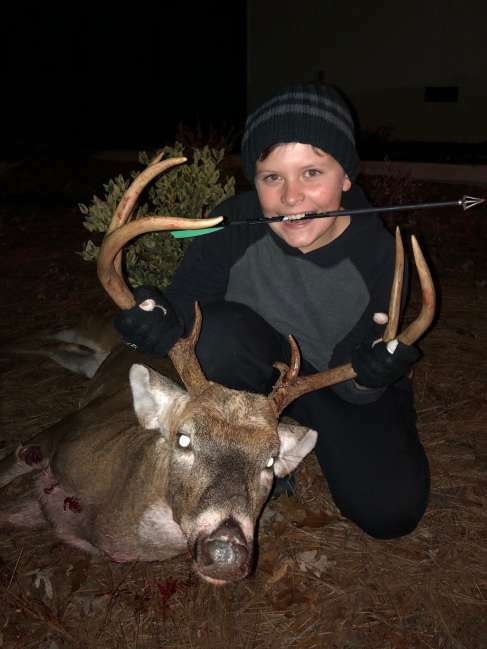 Last night, my 10 year old son Liam, shot his first deer- a monster 8 point buck weighing in at 185 pounds, with his bow! It was a 30 yard clean shot. We are still excited about it. A true trophy deer. Just spending time with both my sons in the peaceful woods is enough, this buck was a bonus.